After enjoying a delicious dinner at Vanessa’s on Solano, I was glad to hear that they had opened up a branch in Walnut Creek last year. 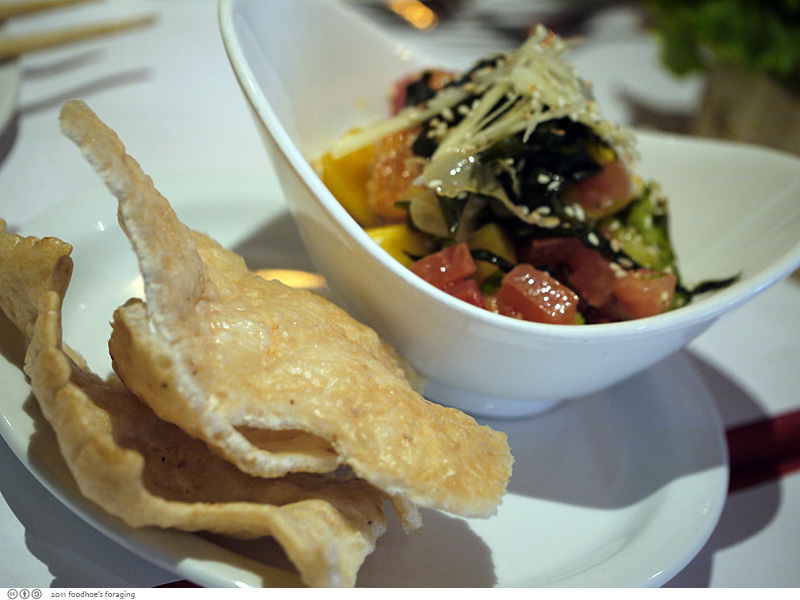 The chef, Vanessa Dang, cooked at Le Cheval in Oakland and Bridges in Danville before opening the original Vanessa’s Bistro on Solano with her daughter Vi Nguyen in 2006. Her son Michael runs Vanessa’s Bisro 2, a one-man show at least in the front of the house on the day we ate there. He was the maitre ‘d, bartender, barrista, waiter and bus person, but we found him to be very friendly and said that his mom comes by everyday to prepare all of the sauces. 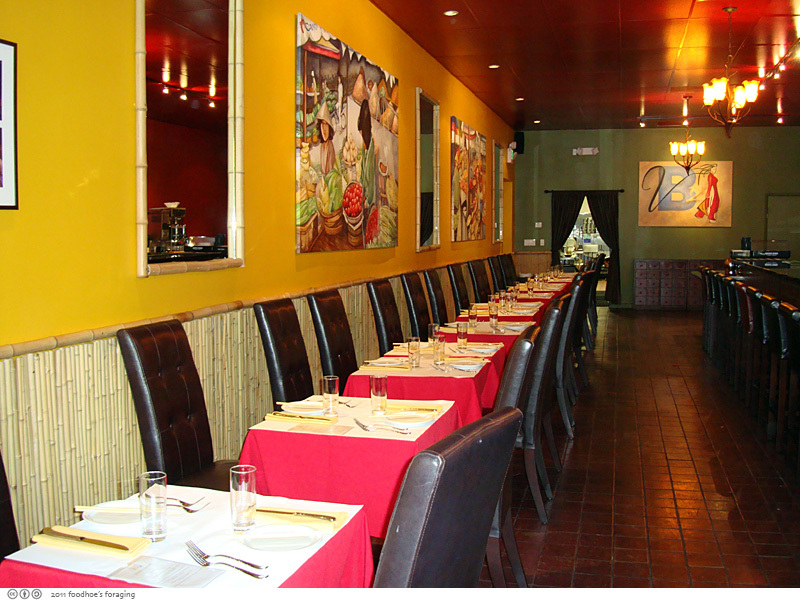 The dining room is cavernously high, long and deep but is casual and comfortable, with richly colored walls which are decorated with graceful paintings depicting life in vietnam that were painted by a family friend. 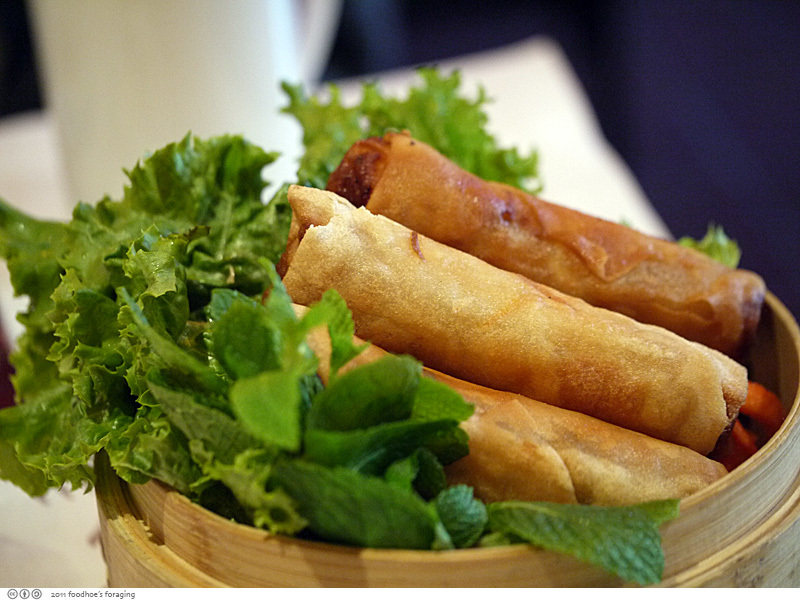 We asked for Imperial Rolls and enjoyed their Crispy Saigon Chicken Rolls ($7), which were enveloped in delicate, paper thin crispy wrappers that had a very satisfying crunch. They were served with a variety of greens, crisp lettuce, and fragrant sprigs of fresh mint, a mound of pickled strands of carrot and daikon and a sticky sweet Spicy Lime Dipping Sauce ($8). I love it when you get the vegetables to wrap the fried rolls up in, it makes you feel like you’re eating light and healthy… nevermind that the rolls are fried! We devoured the Spicy Vietnamese Green Papaya Salad with Poached Prawns, ($8) sans the roasted peanuts due to someone’s food allergy. The assymetrical bowl had a dramatic topping of crispy rice crackers, which were addictively crunchy and reminded me of arare with sesame seeds. 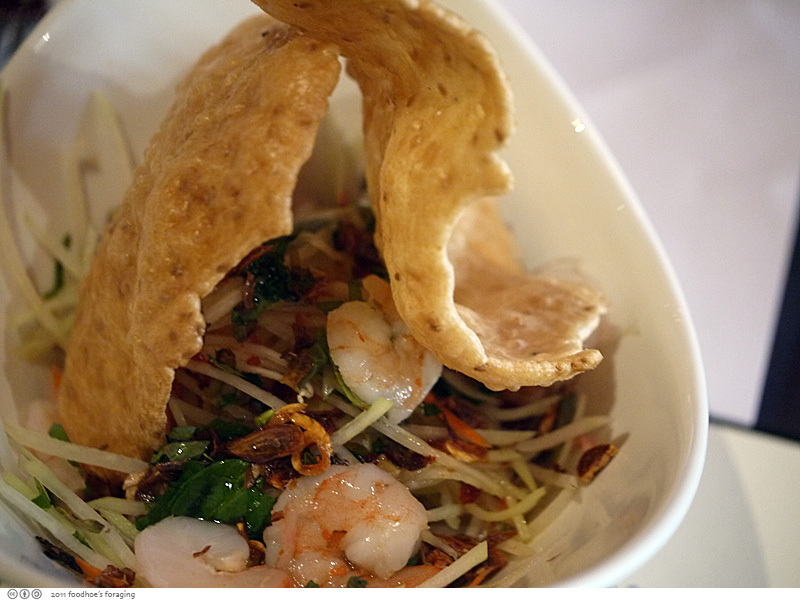 The salad was pungently flavored with lime, chilies and fish sauce, aromatic bits of mint and the fried shallots added an aromatic depth to the dish. We had the Tuna & Salmon Poke ($7), a delicious pile of raw tuna and salmon cubes mixed with strands of seaweed and pickled ginger along with chunks of avocado, mango, cucumber and tomato bathed in ginger soy vinaigrette with a topping of julienned ginger and toasted sesame seeds. 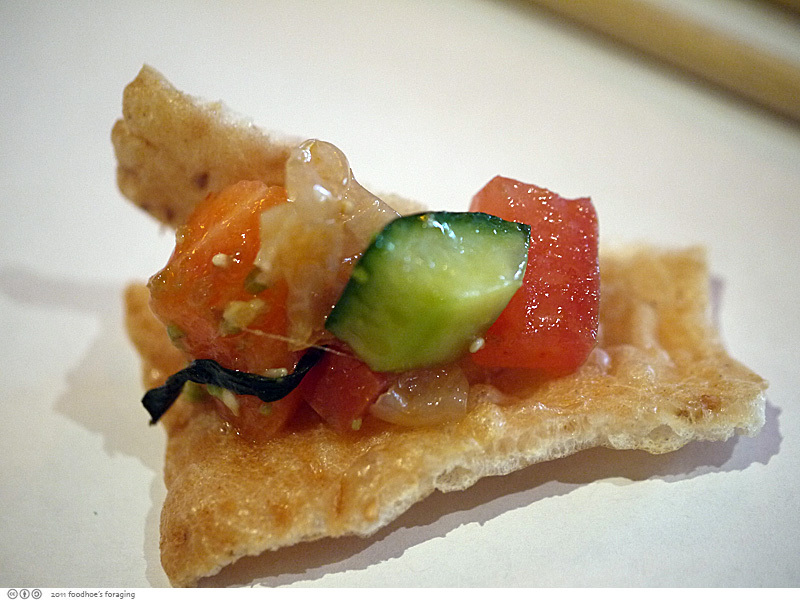 The poke was served with more of those crispy rice crackers, which reminded me of the tortilla chips that are served with ceviche. A very fine combination. 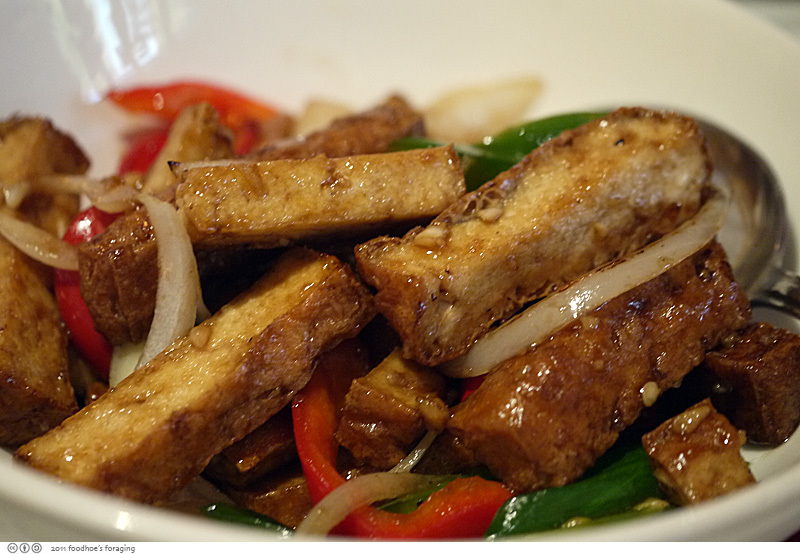 The Crispy Garlic Salt & Pepper Tofu with Sautéed Scallions ($7) were addictively chewy and crunchy and tossed in a flavorful slightly sweet and savory ginger soy mixture, along with slices of onion and bell peppers and were infused with a lovely smokey wokked flavor. 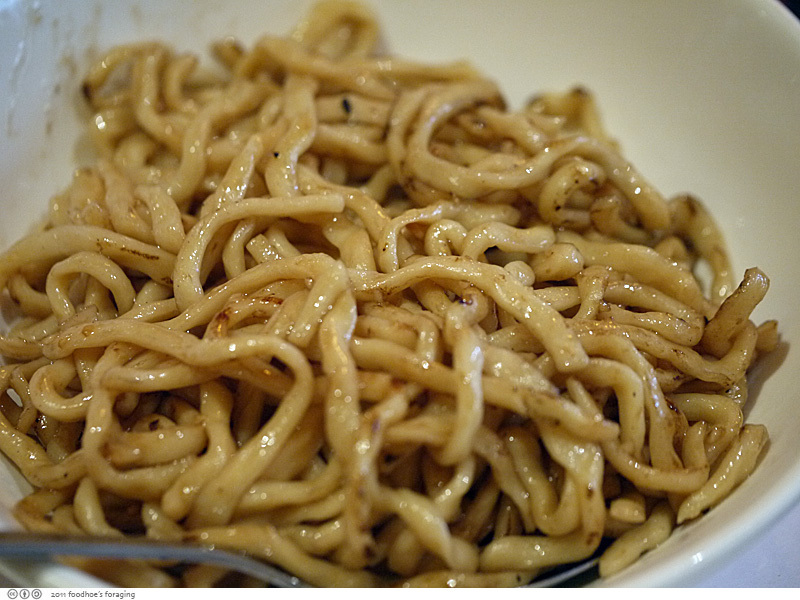 I had to order a side of the Garlic Butter Egg Noodles ($7), which are at once sweet and savory, rich and buttery and infused with garlic. I don’t know if these are truly Vietnamese, but they seem to be de rigeur on the menu of modern Vietnamese restaurants these days. We fought over the Shaking Filet Mignon Salad which actually was a very generous portion for $8 (especially when compared to the Slanted Door, which charges $32 for the same dish). 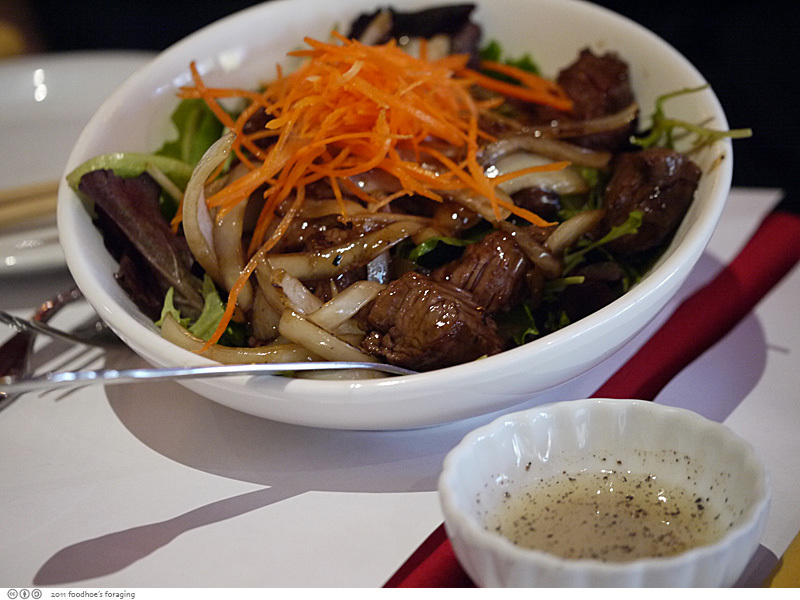 The tender pieces of filet were sauteed with pungent slices of onion, then bathed in a rich and savory garlic brandy butter sauce and served over greens and topped with thin strands of crunchy carrots. The accompanying sauce of lime juice mixed with salt and pepper drizzled over the dish makes the flavors explode in your mouth. 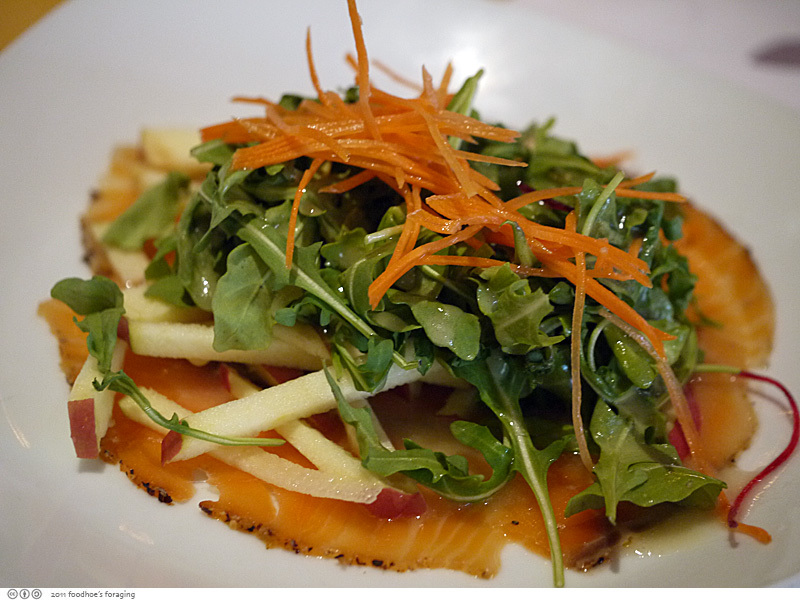 I have a well-known passion for salmon and tried to co-opt the Peppercorn Salmon Gravlax salad tossed with with matchstick slices of Fuji Apples, pepper Arugula tossed with a Dijon Mustard Vinaigrette ($8). The salmon was rich and luscious and was well complemented with the peppery arugula, tart crunchy apple and dijon vinaigrette. 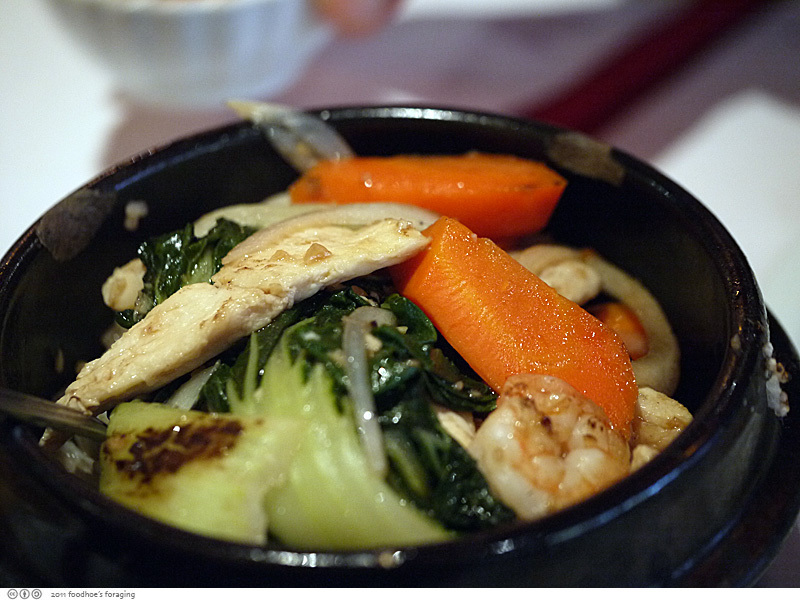 We split one entree, Claypot Rice with Chicken (White Meat), Prawns, Carrots, Green Beans, and Bok Choy ($13). My favorite part of the dish is the delectably crunchy rice crust that forms along the bottom of the pot, which was dark and caramelized and compelling. 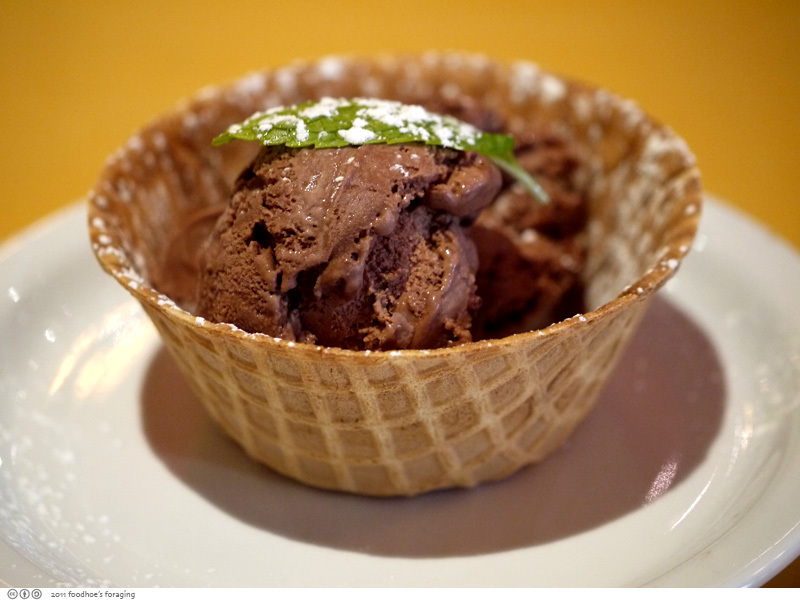 At this point, we were quite full but decided to split Chocolate Ice Cream ($4) for dessert, which came in a charming edible cookie bowl! 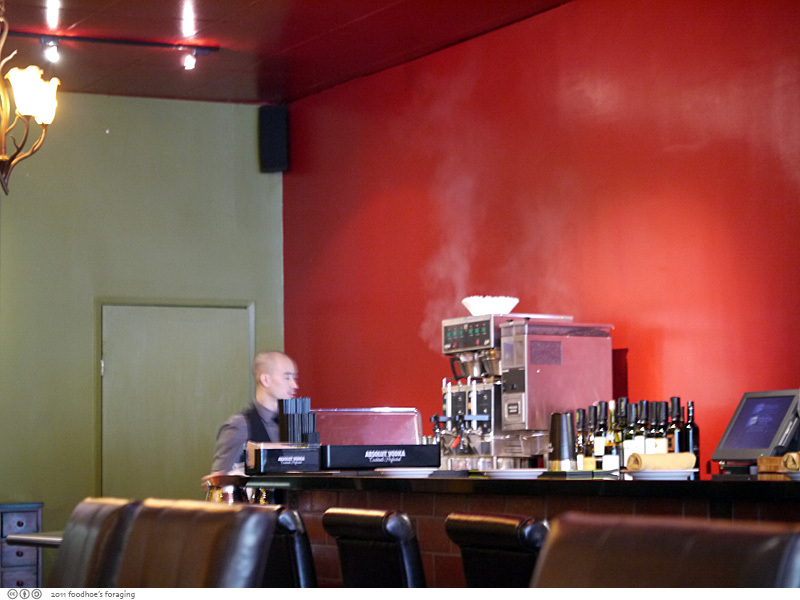 The front area is a cozy and sophisticated lounge area where you can enjoy cocktails from the full bar, which recently got a liquor license. 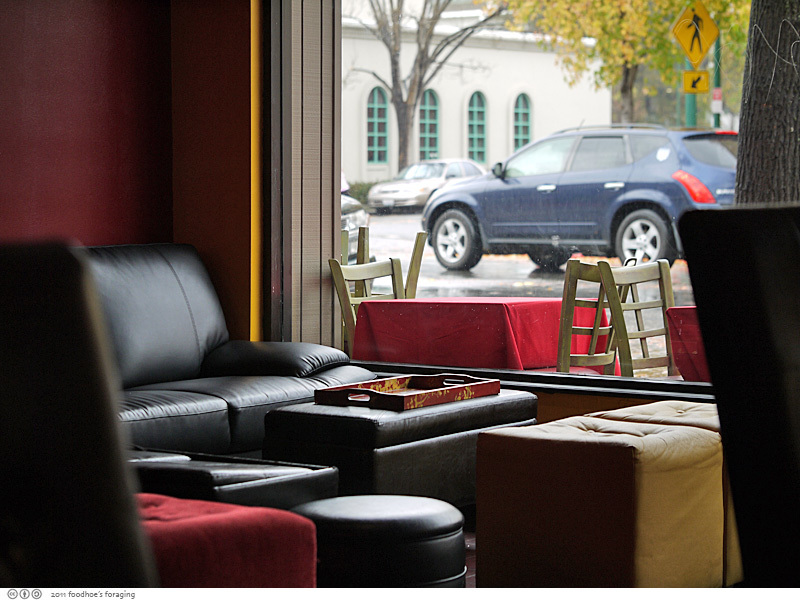 It would be a lovely spot for post work drinks and where you can partake of Vanessa’s delicious Franco-Vietnamese tapas. I should add that I purchased a $60 groupon for $30, which made this lunch much more affordable, although I think we ordered a lot more because of the discount! About a week later, I received an email from Vanessa’s Bistro 2, thanking me for the business, which included a 20% coupon for my next visit. Score! Mmmm, lots of interesting classics! This must be a nice lunch option out in that area. I’ve had a nice dinner at the Solano restaurant too. A wonderful lunch! Yummy dishes. 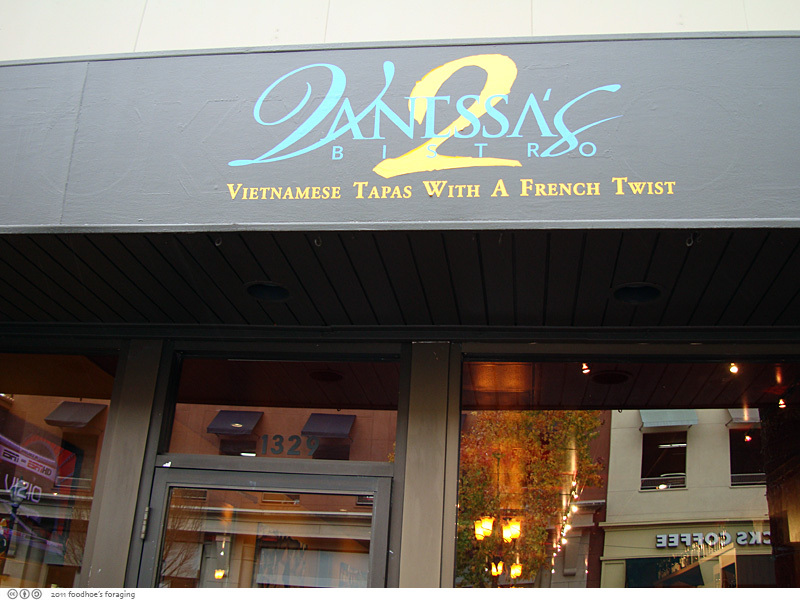 A Viet joint named Vanessa’s?! I would’ve never thunk it 😉 I think the garlic noodles are a Crustacean legacy. Mmm! OMG, the food is D-e-l-i-c-i-o-u-s!! You gotta eat there…..ate there on a living social and will be going back many more times!! The martini’s are awesome! !